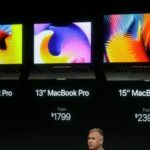 After introducing new 13-inch and 15-inch MacBook Pro models with Touch Bar today (starting at $2,299 CAD), along with a Touch Bar-less 13-inch MacBook, Apple also quietly removed the 11-inch MacBook Air, as it is no longer for sale online (confirming previous rumours). 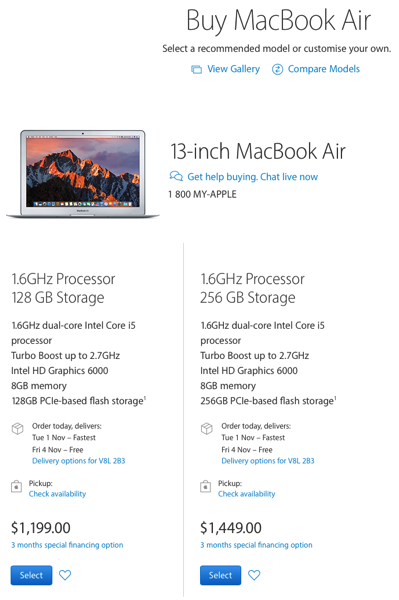 When you navigate to the MacBook Air sales page, you only have options now for the 13-inch model, available in two configurations, starting at $1,199. Have no fear though, as Apple Canada’s online refurb store currently still sells the 11-inch MacBook Air, starting at $929. These models date back to their most recent refresh from March 2015. Update: In an interview with CNET, Apple said the 11-inch Air will still be used in schools and education.